I enjoy mixed media. I should do this more often. 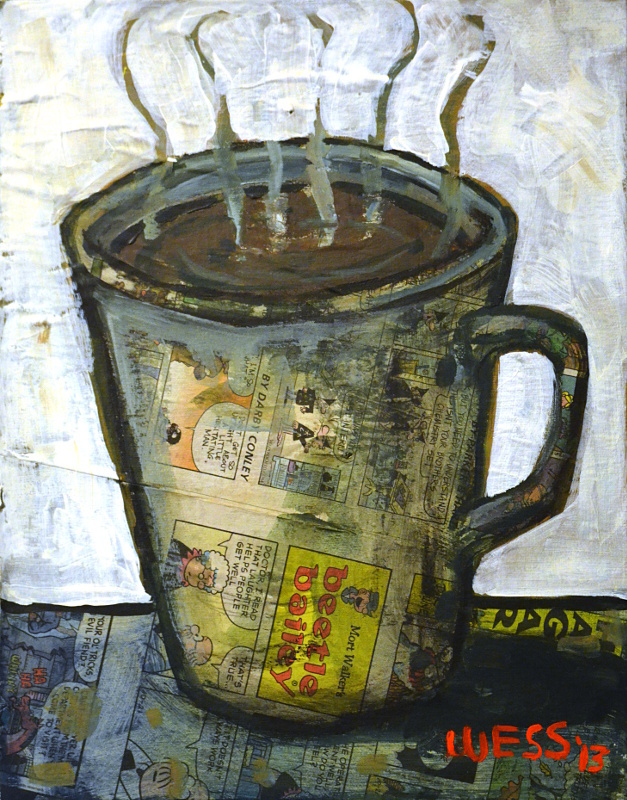 This one is acrylic on newspaper on canvas and features a Beetle Bailey cartoon, among others.